Ushering in a new era of absurd ease of use in a telescope, the Meade LS-6ACF Lightswitch 6" f/10 Catadioptric Telescope is the world's first "GO-TO" scope which literally aligns itself! Using a combination of a few sensors, a CCD camera, and some computerized intelligence, the LS-6ACF's LightSwitch technology is able to detect where it is and where it is pointing. All you do is turn it on and get to the good stuff-the observing and imaging. Combined with astronomer-class "Advanced Coma Free" optics and Ultra-High Transmission Coatings in a 6" aperture, it makes for an attractive offering for any serious amateur observer. The LS-6ACF LightSwitch's optics are their own catadioptric creation, a unique hybrid of other Cassegrains which significantly reduces coma astigmatism. It is bright enough for observing some deep space objects, and sharp enough to provide exceptional pictures. 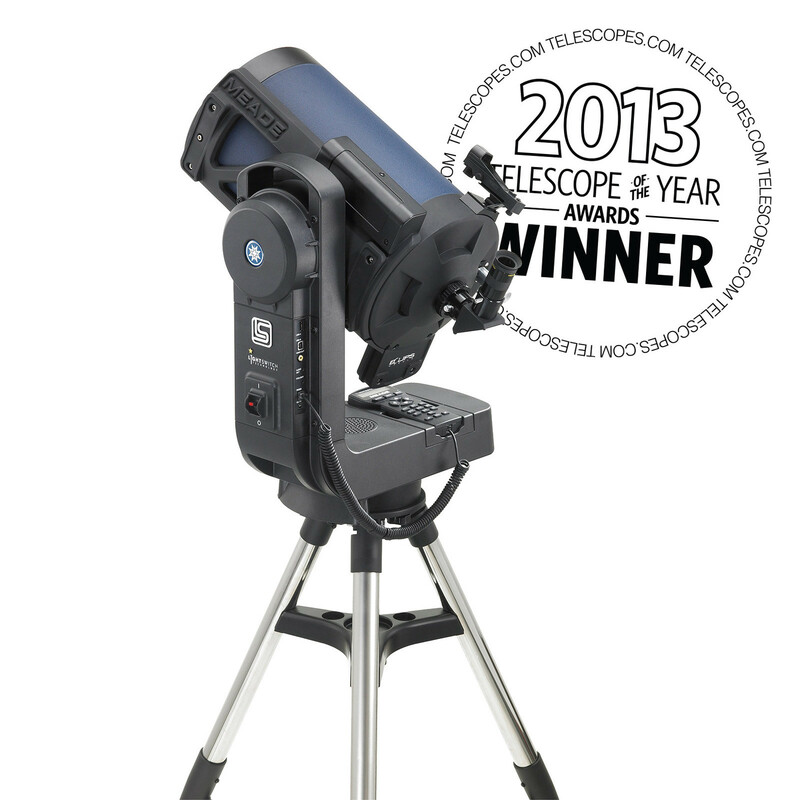 After the scope aligns itself, use the included AutoStar III controller to guide you around the sky. Simply tell it what you want to see and it goes and gets it for you. You can use the guided tours, tailored to your locale and the date, and it will show you the best of the evening's offerings. There's a speaker on the body, an audio output for headphones, and a video output which can display reference pictures and graphics on your computer. The LS-6ACF LightSwitch's rigid single-fork mount has 4.8" worm gears and enough clearance to use your SLR or CCD camera of choice. 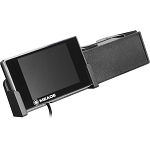 Combine it with the simple T-adapter for shorter exposures, or use one of Meade's Deep Sky Imagers which can use their software to adjust for an altazimuth mount's field rotation over long exposures. There's also a built-in CCD camera on the LightSwitch, primarily used to facilitate the self-alignment procedure, but also able to take 12° 640x480 VGA-resolution wide field images. Box Dimensions (LxWxH) 7.3 x 3.6 x 1.5"